Easycarts.Net, a plumbing shopping cart for the Seattle area. Quick delivery and installation in the Seattle and Eastside area. 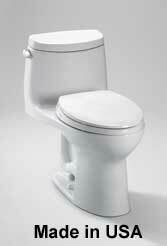 Standard installation includes delivery, removal and disposal of the old toilet. Comes with the 1.28 gallon flush tank that may be eligible for a rebate. 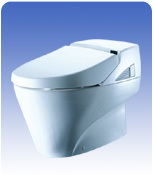 TOTO® Ultramax II Toilet features the Double Cyclone™ flushing system. Using two powerful nozzles, the Double Cyclone™ flushing system creates a forceful centrifugal action that cleans the rim and bowl thoroughly with every flush. The rim has no holes, which makes it easier to clean and offers a seamless appearance. Basic whites and colors come with Sanagloss. Black does not come with Sanagloss. Soiree One Piece Toilet, 1.28 GPF, Watersense. 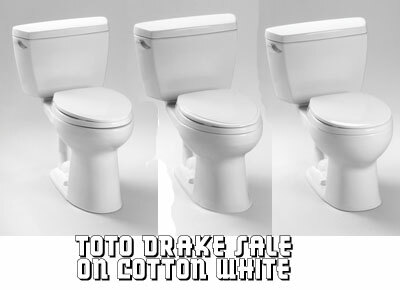 The TOTO® Soirée™ Toilet features the Double Cyclone™ flushing system. Using two powerful nozzles, the Double Cyclone™ flushing system creates a forceful centrifugal action that cleans the rim and bowl thoroughly with every flush. The rim has no holes, which makes it easier to clean and offers a seamless appearance. 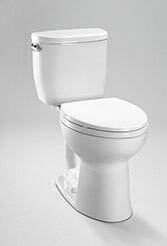 The TOTO® Guinevere™ Toilet features the Double Cyclone™ flushing system. Using two powerful nozzles, the Double Cyclone™ flushing system creates a forceful centrifugal action that cleans the rim and bowl thoroughly with every flush. The rim has no holes, which makes it easier to clean and offers a seamless appearance. The Ebony Guinevere doesn't have Sanagloss. Fast Flush: Wide 3” flush valve. Will rough in at 9-1/4" or more. The right toilet for going Green. One piece decorative toilet with low profile tank. Elongated or round bowl with SoftClose seat. Upgrade with a SS204 Oval SoftClose® seat, or the SS114 SoftClose seat. TOTO Aquia dual flush with 10" rough. Bowl is 16-18" high and elongated. 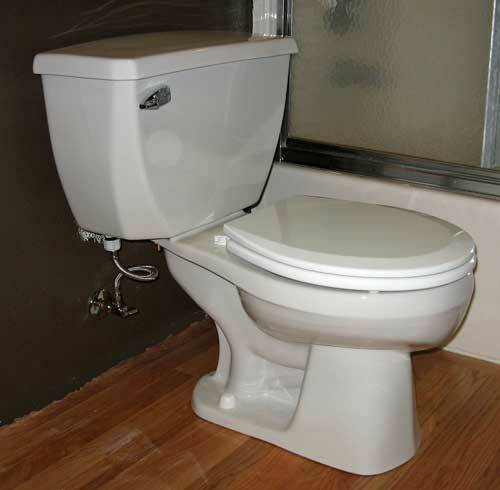 Length of toilet is 27-1/2" and height including tank is 31-1/4"
Elongated two piece toilet with 12" rough-in. Low consumption (4.8 Lpf/1.28 Gpf) siphon jet flushing action. Tank cover, fittings, chrome plated trip lever, mounting covers included, less seat. Kohler Highline ADA Toilet with 1.0 gpf flush. Gerber EF Ultraflush toilet, 1.1 GPF with Flushmate. This is a Watersense toilet approved by the EPA. Gerber Ultraflush for Watersense toilet rebate in some areas.